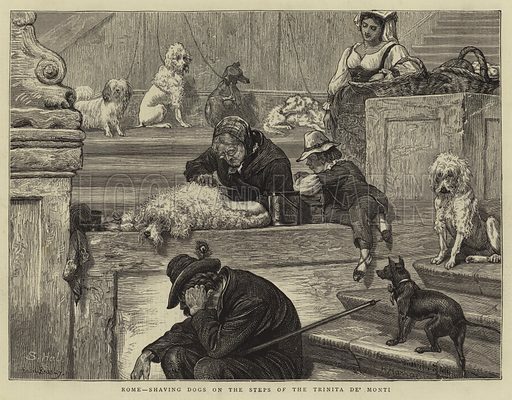 Rome, shaving Dogs on the Steps of the Trinita de' Monti. Illustration for The Graphic, 8 June 1872. Available worldwide for immediate download up to 7,324 x 5,715 pixels.